Romantic comedy dramas rarely deviate from a formula now too familiar for the general audience: twisted love lines, spiced up reality, and the “oh-I-found-true-love” moments. Yet a seemingly typical romantic comedy series, “She Was Pretty,” steadily garnered popularity since its first airing on Sept. 16. 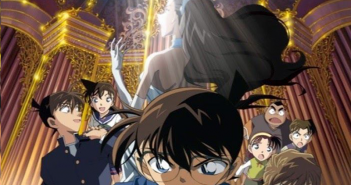 Contrary to its rather predictable formula, the show distinguished itself with an emphasis on the female protagonist’s “inner beauty” instead of her physique and the luring foreshadowing techniques. “She Was Pretty” is a romantic comedy drama that centers on a young female protagonist, Haejin Kim, who struggles to survive in a harsh Korean society with her unappealing physique. The interesting twists of the story are revealed with the love line between Haejin, a childhood beauty, and the male protagonist, who transformed from a plump boy into an attractive magazine editor. The story then unravels with peeks of humorous scenes and thrilling moments of the relationship. The show features a female protagonist with physical features that go against Korea’s beauty standards. Her appearance in the first eight episodes depicts her with frizzy hair, freckles, and a gaudy fashion sense like Michael Jackson’s. Such a peculiar and unexpected portrayal of the main character’s looks offered the audience a novel experience. Breaking the traditional framework of female protagonists being beautiful regardless of her circumstances proved an effective tool in connecting with the audience. 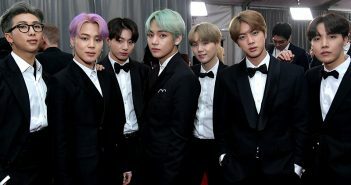 The shocking appearance of the main protagonist not only attracted audiences but also stirred controversy regarding lookism in Korea, which is a social phenomenon of judgements made about people on a set standard for beauty. As Haejin manages to meet the love of her life despite her unattractive appearance, the romantic comedy draws the public eye to the prevalence of lookism and demonstrates that aesthetic appeal is not the key element in “winning” someone over. Nonetheless, popularity always comes with criticisms. Some people found the story line ironic in that the male protagonist only approaches Haejin after she transforms into a beautiful woman, indicating that the drama is actually promoting the idea of lookism rather than trying to condemn it. Because many people especially regard aesthetic beauty as an important basis for evaluation, the audiences expected the drama to mollify this social phenomenon. Despite the critical commentary on the drama’s motive to combat lookism, frequent foreshadowing of the plot line has been essential to boosting its popularity by maintaining suspense. Although numerous dramas do include clues for the audience, “She Was Pretty” has been particularly successful in gaining more attention through foreshadowing because the drama writer, Sunghee Jo, is infamous for writing tragic endings to otherwise light-hearted dramas. For instance, Ms. Jo’s hit sitcom “Highkick Through the Roof” ended in the sudden, unanticipated death of two protagonists, concerning many audiences of “She Was Pretty” regarding its conclusion. Such anxiety highlighted the unique aspect of this drama, alluring people to dig in deeper and collect clues from each episode. In an era where drama series, particularly romantic comedies, are so prevalent, there is limited distinction one show has over another. Yet the different approach to addressing romantic comedy of “She Was Pretty” appears to be the answer for its unique craze. According to AGB Nielsen, “She Was Pretty” aired last episode with a rating of 15.9%, marking a successful ending.